The collection of biometric data in the United States--whether by law enforcement or at the nation's borders--has expanded drastically in the years since September 11, 2001, and immigrant communities are increasingly affected by this expansion. What does this mean for the privacy and security of citizens and non-citizens alike? 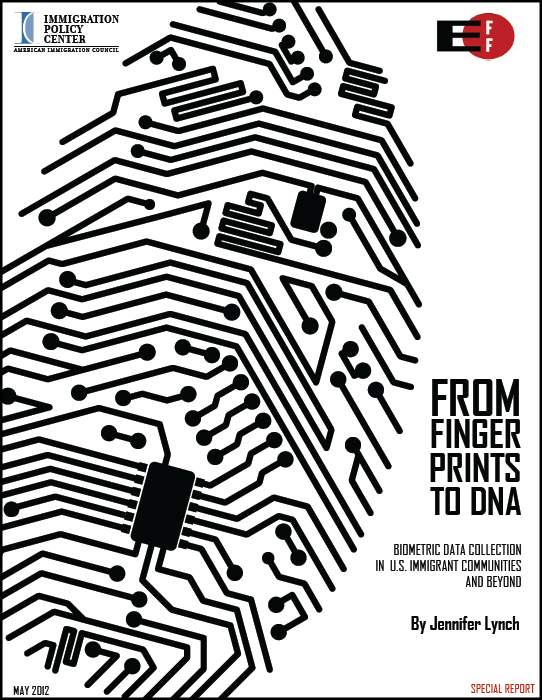 Those are the questions we tackle in From Fingerprints to DNA:Biometric Data Collection U.S. Immigrant Communities and Beyond. For more information see By the Numbers or the Executive Summary.